Hey there! Thanks for dropping by sircrashalot! Take a look around and grab the RSS feed to stay updated. See you around! I was participating at Winter indoor flights earlier but never could fly for real. I made some practicing with my Lama v3 helicopter and watched the others fly with their special indoor planes. Now the time has come for me to join as a flying participant. I ordered a nice indoor plane and some matching electronics. 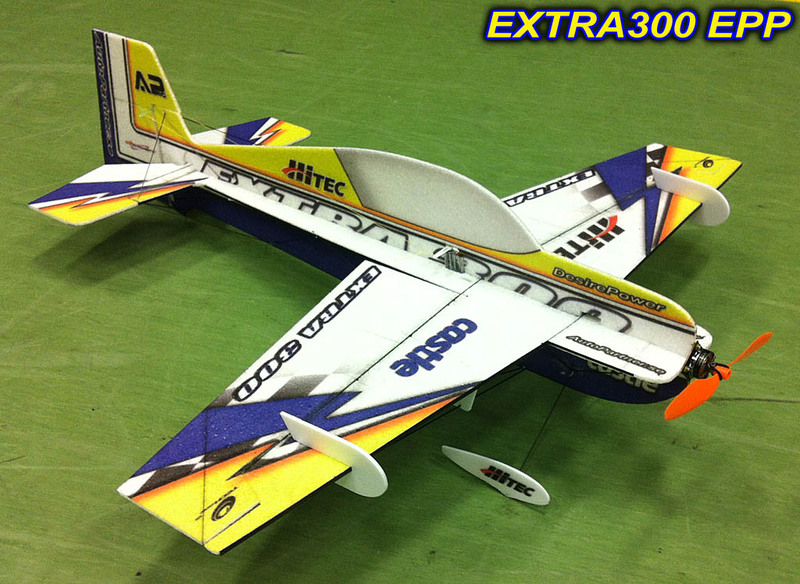 The plane is an Extra 300 made from EPP material. 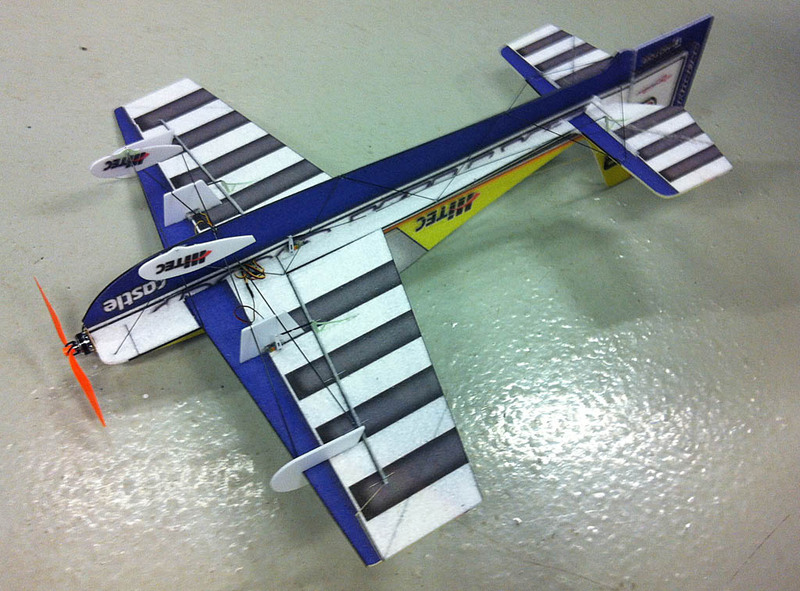 Has 830 mm wingspan and a high visibility colour scheme. According to the description this can take some crashes without being converted to confetti. In my case this is not only a good plus point, it is more or less a basic requirement. I think I will need to get some good practice in simulator. I found a clip where a really expert level pilot flies such a plane indoors. Amazing piece of piloting. I will be happy to just fly around without touching the walls or other hard surfaces. As for the electronics I went for the following list of components. Turnigy 19 gram brushless motor. I planned to use my existing Turnigy 9X v2 radio with it. I have 4 extra receivers, got them together with the radio. Then I have got some second thoughts. I was watching a lot of reviews about FrSky radios earlier and started to be interested. Rc Model Reviews had some great reviews of FrSky. They just launched a new transmitter, it looks like a very capable piece of kit. Maybe a bit too much for me right now, but I keep it in mind as a possible upgrade for later. My current knowledge and experience does not really need such a high spec radio. Then I came across a nice review of Turnigy 9X radios and how they can be upgraded to a much more flexible system and also software. The original firmware of 9X radios is a bit cumbersome to use. Rather illogical menu system and some limitations. The receiver is huge and heavy for a foamy plane (18 grams). However it is possible to modify it with some cheap items. The result is a very capable radio unit that still has an exceptionally low price. With FrSky DIY kit you can actually convert your 9X radio to FrSky protocol. A more robust protocol with great range and features. With a clever little programming card called SmartieParts 9X it is possible to reflash the radio to er9x firmware even. This will enable unlimited swith mapping. Anything can be assigned to any switch on the radio. Also it extends model memory to 16 planes (originally 8 memories). And with er9x software you get a more logical menu system. To be able to fly my Easystar with FrSky radio protocol I need to retrofit it with a compatible receiver. So I purchased a receiver with telemetry. A nice feature, I could for instance see the battery voltage while flying. As I understand I can set a warning even for low voltage. Will check how this works. This unit is so small that I will need to solder micro servo connectors onto the servos. To really upgrade my radio I also bought a LiFe battery specially made for transmitters. This battery will replace the current array of 8 AA cells. Charging 8 pieces of Ni-Mh AA batteries takes ages and they are hard to maintain on the long run. A TX battery on LiFe will give true voltage reading for the radio and it provides 10V against LiPo batteries which would overdrive the radio circuit board. I will have a major upgrade when everything will be ready. First I need to get hold of the packages. Chinese celebrations mean that hobby parts are delayed. Now the celebrations are already over, so hopefully next week my package will get posted and travel to Sweden from Hong Kong. Exciting it is. Weather is turning into Autumn, so indoor flight season is soon to be started. As I understand from 1st of November we can fly again at the school sports hall. Not much time left to build my plane.